Establishing a dynamic tension between abstraction and representation, Forrest Moses’s masterful depictions of serene woodlands and placid bodies of water emphasize both the tranquility of their subject matter and the eloquence of understated gestures. He presents an art of intimation rather than disclosure, where seasons are suggested by subtle color harmonies, expertly balanced compositions include no more than is necessary in the service of evocation, and a uniquely refined and fluid elegance informs each and every brushstroke. In his abstracted landscape paintings, Moses expresses a poetic and intuitive understanding of the rhythms and pulses of being in a place – what the artist calls “the truth of nature.” His paintings act as meditations on the land, its patterns and textures, and Moses’ own feelings of being present there. Profoundly influenced by Japanese aesthetics, Moses embraces the principle of wabi-sabi: the realization that things become more beautiful as they decay, age, and transition. 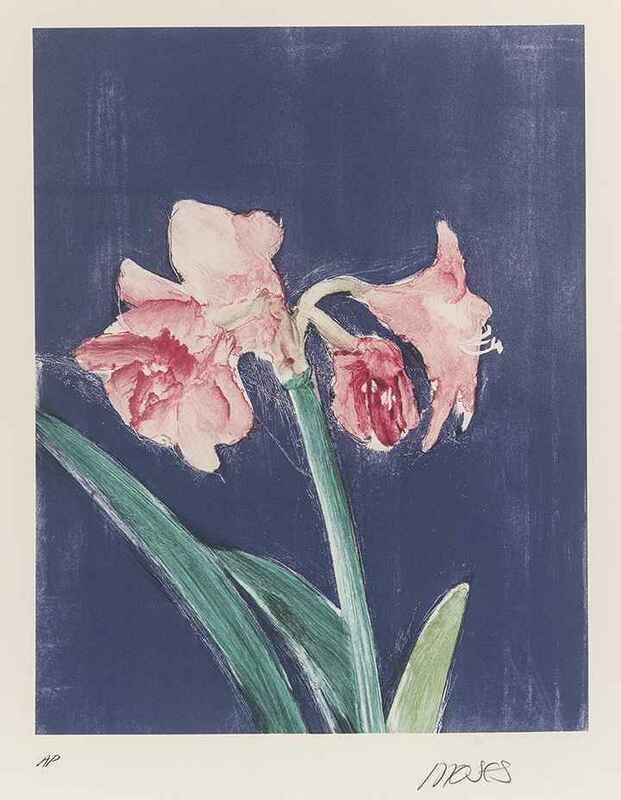 In this way, the marks of his oil paintings and ink-based monotypes reference the practices and philosophies of sumi-e ink masters. He seeks, in his own words, "to discover nature’s truth and give life to a painted image by understanding the rhythms and pulses behind appearances.” As such, his works stress brevity and simplicity to magnify the intensity of his expressions—underscoring the importance of negative space or nothingness as a juxtaposition to objects that already occupy our world. Forrest Moses was born in 1934 in Danville, Virginia. He holds a BFA from Washington and Lee University in Lexington, Virginia, and spent two years at the Pratt Institute in Brooklyn studying design and architecture. During a career spanning more than sixth decades, Moses has had work exhibited in an array of national and international museums, most notably the World Collection, Yokohama, Japan; Pratt Institute, New York; Art Dumonde, Tokyo; and the New Mexico Museum of Art. 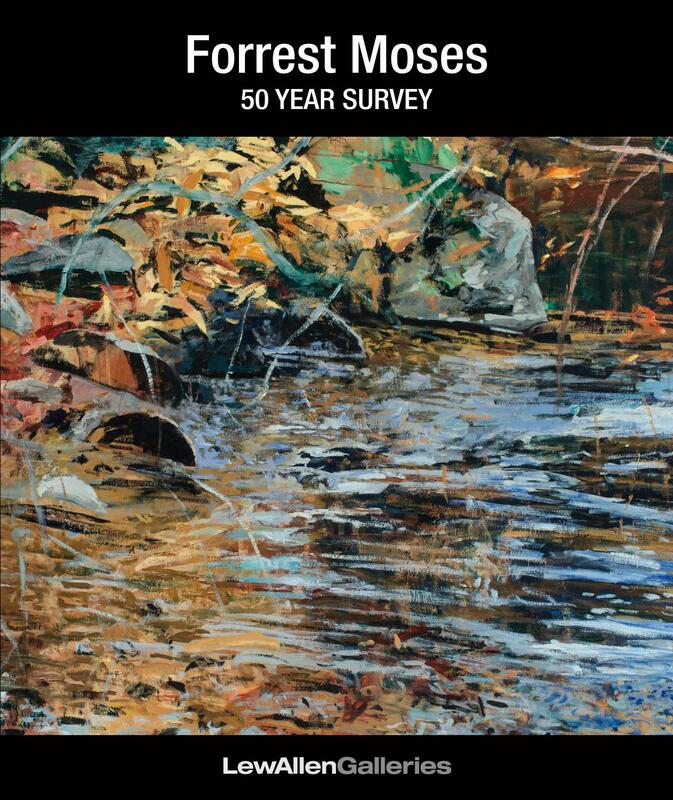 His monograph, Forrest Moses, produced by Kensho Editions and printed in Verona, Italy, is an elegant, full-color presentation of this enduring artist’s unique contribution to modern landscape painting. 19.75" x 15.5" Framed: 32.25" x 27"